Place : Student Union Bldg. 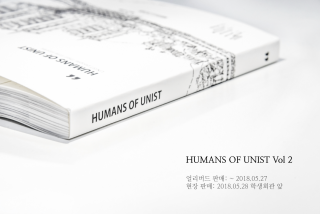 The second volume of HUMANS of UNIST, entitled “HUMANS of UNIST Volume 2”, will be open to the public next week at the pop-up store near UNIST Student Union Building. For more details, please contact Public Relations Team (#1232).